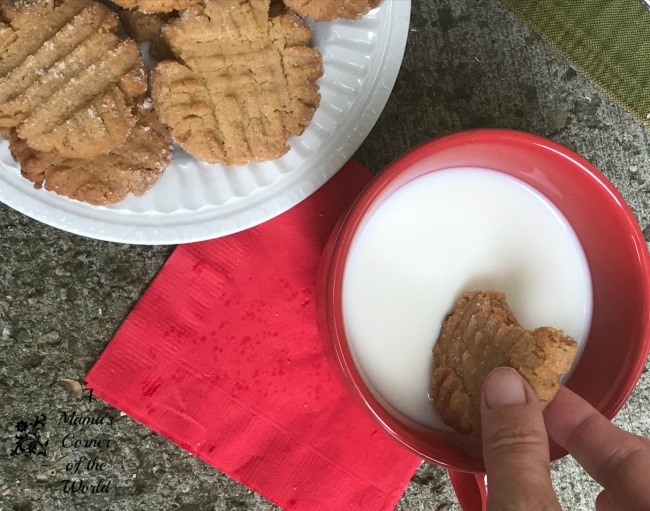 Peanut butter cookies have always been one of my favorite cookies--probably because I always have the ingredients on hand to bake a fresh batch & it is a really easy one for the kids to help me with in the kitchen! 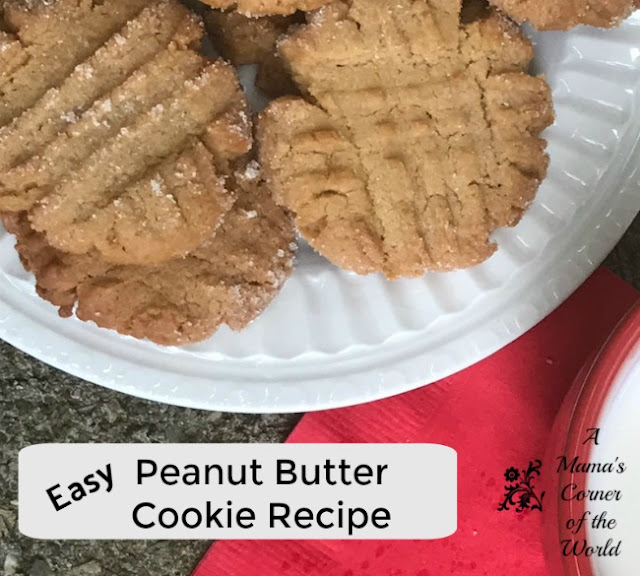 While we make these throughout the year; sharing my recipe on National Peanut Butter Cookie Day seems fitting! 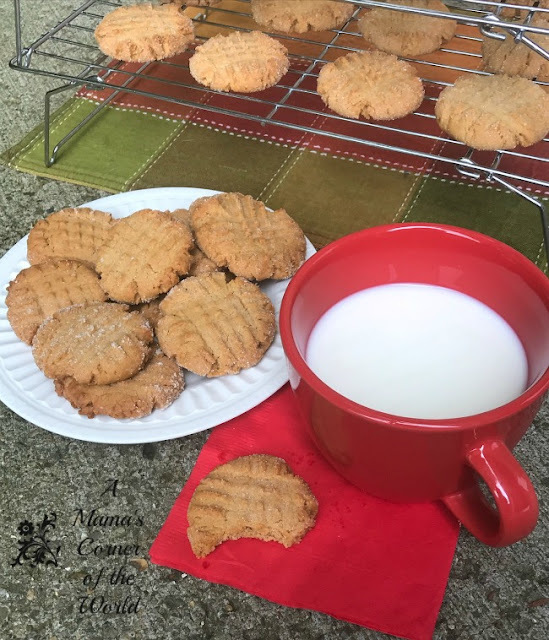 What is my go-to recipe for peanut butter cookies? Preheat Oven & Prepare Cookie Sheets. Preheat the oven to 375 F. Line cookie sheets with parchment paper. Blend the Dry Ingredients. In a medium sized mixing bowl, add the flour, baking soda and salt. Mix well with a fork to combine. Cream Sugars & Butter. In a separate, large mixing bowl, cream the sugars with the butter or margarine. Blend in Remaining Peanut Butter Cookie Ingredients. Add the egg, vanilla extract, peanut butter and milk to the creamed sugars and blend until well combined. Slowly add the dry ingredients to the peanut butter mixture in small quantities. Blend well between each addition of the flour mixture. Roll the Cookies, Press and Bake. Roll the peanut butter cookie dough into 1 inch balls. Roll each ball into the white sugar in the small bowl that you set aside. Place the cookies about 2 inches apart on the cookie sheet and flatten each ball with a fork (making a crisscross pattern on each cookie). Bake for 12 minutes or until the cookies are golden brown. Remove to a wire rack and cool.